This sweet potato macaroni and cheese is incredibly creamy and sneaks in a little added nutrition thanks to the sweet potato! With gluten-free and whole grain options. This recipe comes from Lauren of Healthy Food For Living. She has a new e-book out called The Kid’s Daily Plate: A Week’s Worth of Healthy Mix ‘N Match Toddler- and Kid-Approved Meals. Being as I have the palate of a picky five year old, it felt like this book was written just for me. ;) All of the recipes are super simple, fuss-free and especially perfect for little ones. There are so many recipes I want to make but I was drawn to this recipe first because I’m always looking for ways to make eating vegetables more palatable for me. People say I’m just cooking vegetables incorrectly, but nope. I hate them. I like regular potatoes prepared in all kinds of ways and sweet potatoes in roasted / French fry form. That’s it. Everything else I puree (totally serious here) and wash down with lots of water. The recipe in the book is actually for sweet potato macaroni and cheese cups but with Thanksgiving coming up, I wanted to make it more Thanksgiving-friendly. It’s really easy to make the mac and cheese cups, but I only have one oven and that’s dedicated to turkey and dinner rolls. The next time, I used the full amount of cheese and it tasted exactly like regular mac and cheese. If you want a more pronounced sweet potato taste, try adding more puree. I used white cheddar and the mac and cheese still had this lovely orange color to it. I’ve been using white cheddar because up until writing this post, I thought all orange cheddar was artificially colored. It looks like some cheddar is, but other cheddar is dyed naturally using the seeds of an annatto tree (you can read more about that here, if you like). I think I’ll still stick to white cheddar! I don’t feel like I’m missing anything flavor-wise. 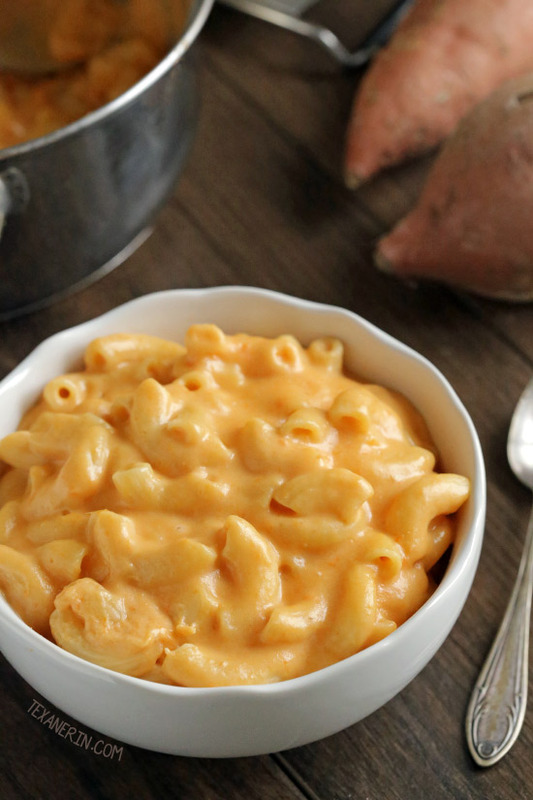 This sweet potato mac and cheese is perfect as-is but it’d also be easy to personalize! I like to keep things plain with just some added garlic powder, but Mr. Texanerin loved his with bacon. What’s better than cheese + carbs? More cheese + carbs! Next time I make this mac and cheese, I’m also going to make these Gluten-free Cheddar Herb Muffins from Fearless Dining to go along with it. If pumpkin isn’t your thing, this butternut squash mac and cheese looks equally as delicious! Bring a small pot of water to a boil. Meanwhile, peel and dice the sweet potato into 1/2" pieces. Place in the boiling water and cook until tender, about 10-20 minutes. You can alternatively place the potato on a baking sheet and bake at 400 °F for 1 hour or until soft and then scrape out the flesh. Mash the cooked sweet potato well and measure out 1 cup (245 grams). Bring a medium pot of water to a boil and cook the macaroni according to the instructions on the package. Drain and set aside. While the pasta is cooking, heat the olive oil in a large saucepan over medium-high heat. Add the flour and whisk for 1 minute. Slowly pour in the milk while whisking constantly. Cook until the mixture is thick enough to coat the back of a spoon, about 3-5 minutes. Reduce the heat to low and stir in the mustard, if using, cheese, and 1 cup of mashed sweet potato. Remove the pot from the heat and stir until smooth. I didn't mash my sweet potato well enough and used an immersion blender to make it totally smooth. Add in the salt, pepper and then the macaroni. Recipe from The Kid's Daily Plate: A Week's Worth of Healthy Mix 'N Match Toddler- and Kid-Approved Meals by Lauren Zembron. 44 comments on “Sweet Potato Macaroni and Cheese (gluten-free, whole grain options)” — Add one! Oooh! 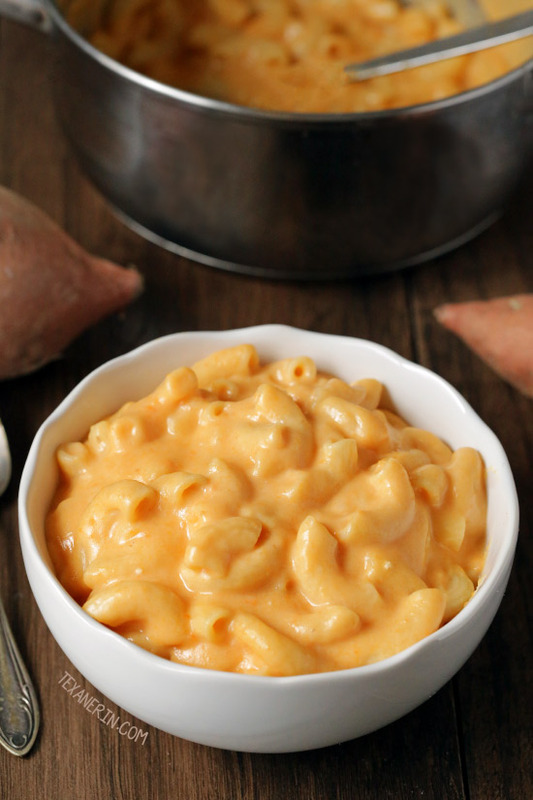 This Mac & Cheese version with sweet potato looks phenomenally good! I want some for lunch right now, LOL. Thanks for sharing, girl. Have a wonderful Thanksgiving! I love how you wished me happy Thanksgiving in three comments in a row. :D Thank you! And I wish I had some of this mac and cheese, too. So delicious! This mac and cheese looks creamy and so freaking delicious! 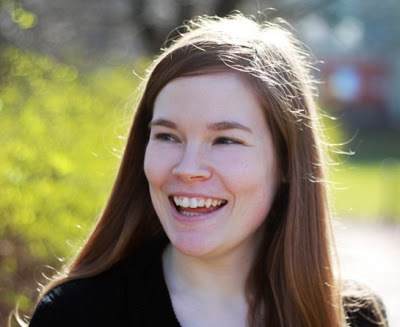 I had no idea Lauren had an ebook…I have to check it out! I. Love. Sweet Potatoes. They’re my favorite everything. I never have thought to make sweet potato mac & cheese. You’ve opened up my eyes to a new horizon! Ha! I love that you added sweet potato! Such a fun twist! First off, gooey and creamy sweet potato mac and cheese is exactly what I am dying to have tonight. For some reason, with our cooler weather and my constant hunger, I am craving all things comfort! That sounds like a terrible thing to do. ;) You’d be so sad! I can guarantee it. Love this!! I always like a comforting meal that is also good for you. Pretty sure my son would love this too! My daughter is super picky about veggies and meat. It’s a textural thing for her. The meat thing started very young then she found out where meat is from and became a vegetarian. Which made life a bit complicated because some veggies were palatable to her. I learned to get super creative with the ones that worked. So I totally get where you’re coming from with veggies. I love a lot of them but can’t eat many because of my IBS. Dark greens are a big no-no for me. But sweet potatoes are a-okay. So this has to happen in my house. We were just talking about making a big batch of homemade mac n cheese. Perfect timing. OK…uhhhhh, this is seriously genius! Pinning! Thanks for pinning! And I agree. 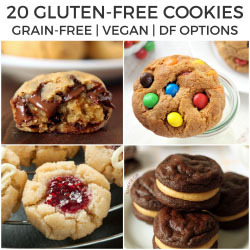 I was so excited when I came across this recipe in Lauren’s ebook! I’m dying over how creamy this looks! I always hide butternut in my mac and cheese, but I need to try sweet potato next time. Super smart!! I’ll have to try butternut next time! Sounds good. So creamy, yummy! And such a great way to slip in some added nutrition and flavor! Never would have thought to put sweet potato in mac n cheese! This is genius! So funny that you hate all veggies! I LOVE them! This sounds like a super tasty way to get some veggies in though! I so, so wish I liked them! cool fact about orange cheese! love this recipe. I love sneaking in the sweet potato. My daughter goes crazy for mac ‘n cheese. Any way to get it a little healthier counts! Love the addition of sweet potato. Everybody would love this! Love the use of sweet potato to make this creamy and delicious! Such a smart idea! Such a great way to hide your veggies! It is okay, there are some things I have tried that I do not like and people have said I am cooking them wrong, but you cannot like everything in the world!! Looks so yummy! What a color and so creamy..
Yay for delicious vegetables! I usually like to puree butternut squash into mac and cheese but haven’t tried it with sweet potato. Kind of excited to go easy on the cheese (for the first time ever) if it means that it tastes like cheetos! Haha. I bet it’ll depend on the brand and combination of cheese you use. Although I did it twice with two different types of cheddar and got the Cheeto effect both times. ;) And Pecorino Romano! I used about 1/4 of that each time.